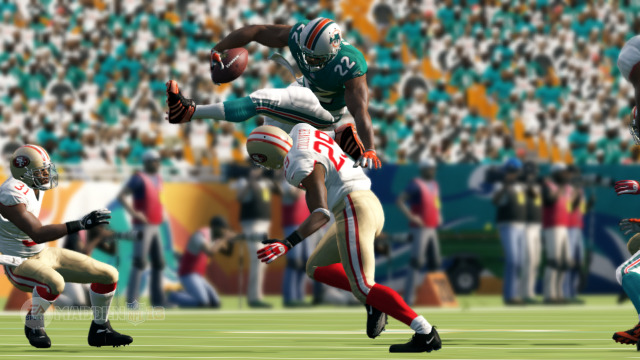 Could NFL players use Madden video game to prep for Sundays? NEW ORLEANS – The battle to find an extra edge in the NFL has taken many forms: from the nefarious (Spygate, anyone?) to the scientific (Terrell Owens' hyperbaric chamber) to the downright bizarre (yes, that would be deer antlers). Yet according to Drew Brees, the not-too-distant future will see part of a player's preparation for game day involve nothing more than sitting on a couch and playing video games. The New Orleans Saints quarterback told Yahoo! Sports in an interview this week that modern football simulation games such as Madden NFL have become so realistic that playing them during downtime can actually have a positive impact on the athlete's on-field performance. "Down the road it is going to be even more so," Brees said. 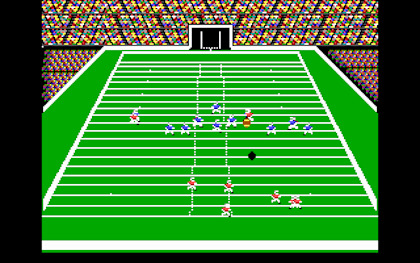 "The games are getting more lifelike every year, and everything in Madden is based on what really happens on the field. "The plays are the same, it is updated all the time and you can go through a lot of stuff without having to get hit. I can definitely see a time when these things are used a lot more to help players." EA Sports, the makers of Madden NFL, has a relationship with the NFL that supplies them with actual playbooks from teams each week. EA Sports has a dedicated group whose responsibility is to implement any changes into the game as soon as possible, from tactical switches to injury updates and trades. The game is celebrating its 25th anniversary this year and is a world removed from its more modest beginnings that bore little relation to actual NFL play. "I remember it back in the day," said three-time Super Bowl champion Jerry Rice. "It was just these little figures moving around on a screen and you couldn't see who was what. But I'm told that I was awesome in the game." Cam Weber, a general manager at EA Sports, believes that despite the huge strides that have been made in gaming technology, future generations will find an even more realistic experience. "There is still a long way we can take this," Weber said. "We are still limited by the memory and performance of the current hardware. As that continues to evolve, so will the game and so will its realism." NASCAR drivers, including Dale Earnhardt Jr. and Carl Edwards, have for a few years now been using a simulated video game called iRacing to prepare for upcoming races. Predictably, given the competitive nature of NFL stars, Madden NFL is widely played in locker rooms around the league with the online gaming capability adding another aspect. "I like to play and it is very realistic," said Houston Texans running back Arian Foster. "The depth and detail are pretty amazing, but I definitely think they undersold my speed and some of my cuts a little bit. I have to be at 100 percent."